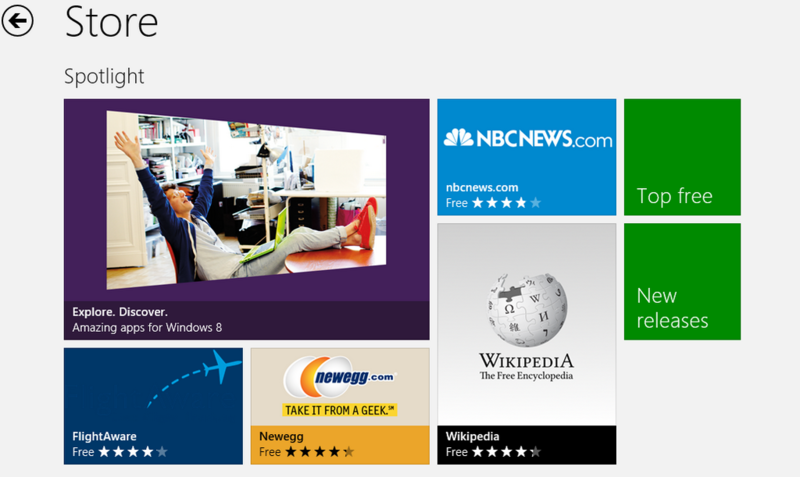 Windows 8 Store just like any other App stores has apps in various languages and localizations. When you install Windows in international language, Windows defaults to your country or regional settings. This is what we call Localization. This can be an advantage or a disadvantage depending on who is looking at it. A person who doesn’t care about English or American software may just want to see Apps made for his particular neck of the wood, so Windows Store defaults to Localized settings when you installed a Localized version of Windows. But if you are a Geek, your life is on the Net and you don’t want to be limited to local Apps only, that is where frustration begins. There are more Apps in English than Localized versions, but if you installed Localized version of Windows you wont see all those Apps. Luckily Microsoft thought of people like you. 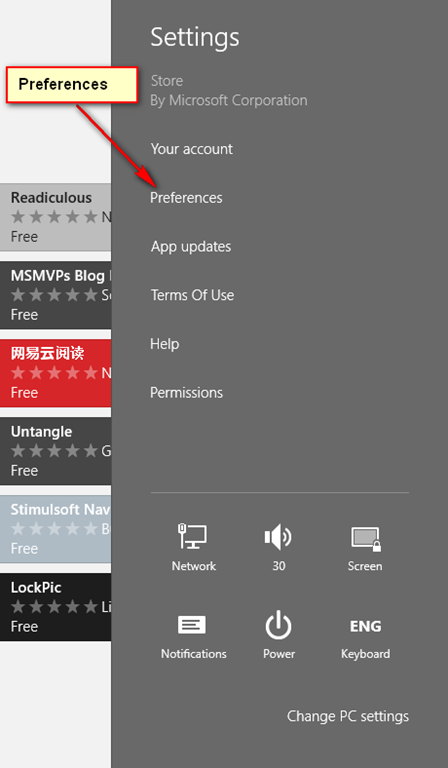 There is a settings in Windows 8 Store to allow you to see All Apps in the Store, except for those specifically banned for your Region. 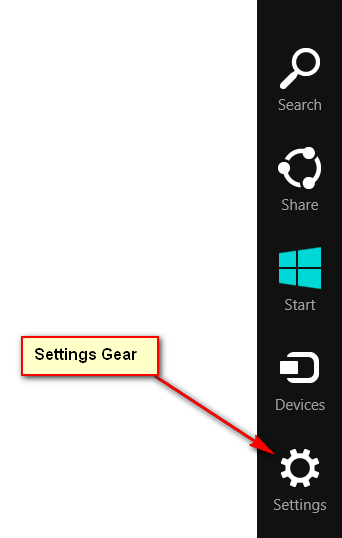 Close Settings and revert back to the Store and search for the app you want. If the App is not banned for your region you’ll now see every Apps in the Store. 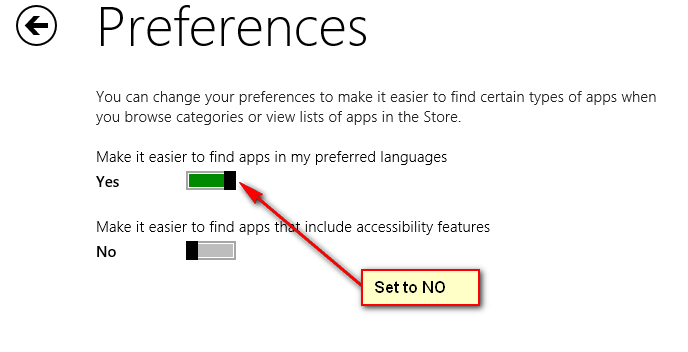 [IMPORTANT NOTE]: If you are still running former versions of Windows 8, you will not see all the Apps in the Store no matter your localization settings. You need to Install Windows RTM to see most of the Apps mentioned in this blog. [Another Important Note: 2012-12-02] Despite this Localization Settings you will still not see Apps that are Locale-fixed. Those are Apps that are fixed to a particular country or region, if you don’t come from that region you will still not see those apps no matter what your localization settings. You will have to live in that country, i.e. you computer IP Address has to originate from that country or region to see those Apps. Sorry, I didn’t expect this myself. There is this TVCatcher app that was UK Locked because it only shows UK TV Stations anyway. I wanted to blog this App for our UK friends, but I can’t get to the App, and I have my localization settings already on Global view and still can’t get it. So now you know, we can still be locked out if we don’t live in a particular country. Just saying.